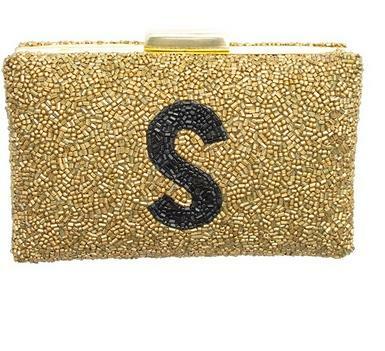 The perfect bag for an evening soiree or wedding! 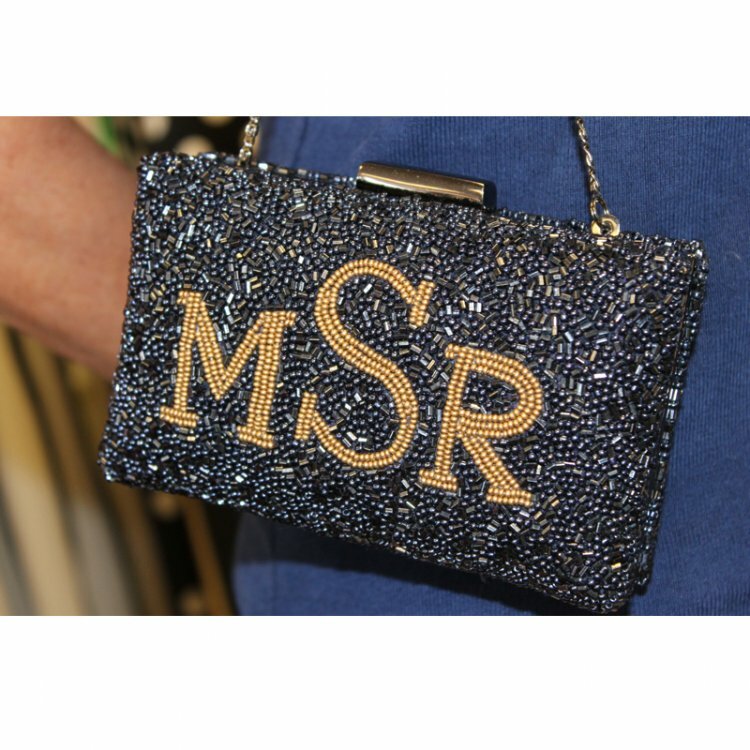 You will receive so many compliments on this gorgeous beaded bag, shown here in navy with a gold monogram. It's the perfect size for your essentials and can be worn on the shoulder or as a clutch. Our bags have been featured in Lucky, Martha Stewart Weddings, and InStyle magazines. Easy to create your own personal style bag. This one is my favorite. 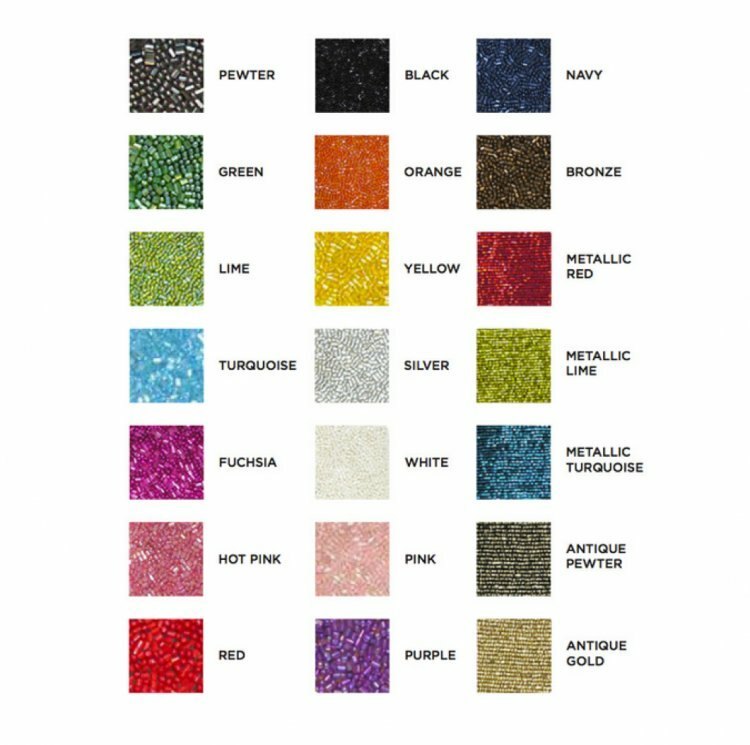 First, choose the color base for the beaded bag. Second, choose the color beads for the monogram. Last fill in you letters for the monogram. Notice that the last name is larger in the middle. We also show a gold bag with a single initial on the other photos.This bag show was done in the navy letters and ha the antique gold monogram. Use your imagination and create the perfect bag for you. Please indicate with you would like gold or silver for the finding in the comment section. We can do this bag in either the silver as shows in the photo or the gold as shown in the additional photo. Clutch and/or silver colored metal chain, shoulder strap. Bags are not returnable due to personalization. If you have questions please email us. Price: $235.00 In stock! - Browse this brand: Moyna bagsOur products are custom made to your specifications. This product ships up to 4 weeks after your order is placed.